Get behind the wheel of a Toyota Tacoma and experience strong, safe performance on and off Cartersville roads with a 3.5L V6 direct-injection engine, Toyota Safety Sense™ safety features, and many off-roading technologies. When you get behind the wheel of the Tacoma, you will experience advanced technology and an integrated backup camera with rear parking sonar, Qi-compatible wireless charging, and more. 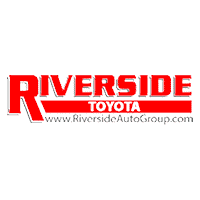 You can visit us at Riverside Toyota and take it for a spin around Calhoun. When you’re ready to lease a Toyota Tacoma model, view our available lease and finance offers to make your choice more affordable. When you lease or finance the new Tacoma you will have all the mentioned features to keep you safe and allow more time for adventures around town. Find out more about the Tacoma trim levels, exterior features, and other specific model features when you visit us at Riverside Toyota. Contact us with any questions that you may have or talk about Tacoma maintenance!